Los Angeles - Shamed cyclist Lance Armstrong wants to return to competitive sport, but says the driving force behind his belated doping confession was the well-being of his five children. "The biggest hope and intention was the well-being of my children," Armstrong told talk show host Oprah Winfrey in the second segment of their televised interview that aired on Friday. In the first instalment aired on Thursday, the 41-year-old Texan admitted for the first time that an array of performance-enhancing drugs helped sweep him to a record seven Tour de France titles from 1999-2005. Years of aggressive denials -- including vitriolic attacks on those who questioned him, collapsed last year when he was stripped of his Tour titles and banned for life by the US Anti-Doping Agency. "The older kids need to not be living with this issue in their lives," Armstrong said. "That isn't fair for me to have done to them. And I did it." But Armstrong said that if confession could help him regain a place in sport -- in triathlons or marathons -- he'd jump at it. "Hell yes, I'm a competitor," Armstrong said, adding that he didn't think he deserved the "death penalty" of a lifetime ban. "Frankly, this may not be the most popular answer, but I think I deserve it," he said, telling Winfrey that former team-mates who implicated themselves in testifying against him received lesser punishments. When Winfrey noted that virtually every article on the once revered cyclist now begins with the word "disgraced" Armstrong said he felt it fit. "But I also feel humbled. I feel ashamed. This is ugly stuff," he said. "I'm deeply sorry for what I did. I can say that thousands of times and it may never be enough to get back." Thursday's first instalment of the interview was a ratings winner for Winfrey, with its estimated 3.2 million viewers in the United States making it the second-most-watched show ever on her fledgling OWN network. However, it left many still sceptical of Armstrong's motives and methods, doubtful that he felt real remorse. David Walsh, the journalist who almost single-handedly queried Armstrong's remarkable comeback from cancer, was one of those left cold by the interviews. This despite Armstrong apologising, when pressed to by Winfrey, for suing the paper Walsh works for The Sunday Times for libel and winning $480 000 in 2006 which the paper is now claiming back plus costs. 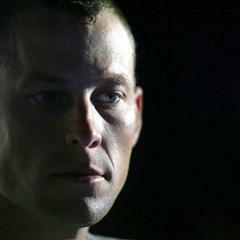 "Watching part 2 of Armstrong interview, he admits to feeling shamed and humbled. But why is it so difficult to empathise with his situation?" the Irishman tweeted. "Oprah pressured him, the apology was, I thought, hesitantly promised. I didn't ask for it, or expect it, but, yes, if it's offered, I accept." His former rivals too generally shrugged their shoulders saying there was nothing new in what he said. Luxembourg's Andy Schleck said from Australia, where he is competing, that today's riders would pay the price for the systematic doping undertaken by Armstrong. "I think it's good for him, maybe it gets some weight off his shoulders," said Schleck, who was awarded the 2010 Tour de France when that year's winner Alberto Contador was done for doping. "But I believe the sad thing about it is that cycling is going to pay the price now, and it's sad if we have to pay the price for it when we weren't even professionals 15 years ago." Genuine emotion seeped through on Friday. Armstrong's eyes reddened and his voice cracked as he described telling his 13-year-old son Luke: "Don't defend me anymore" when his transgressions at last caught up with him. He discussed the financial fallout, in particular the stampede of sponsors away from him with sportswear giant Nike in the lead. "You could look at the day or those two days or the day and a half where people left," he said. "That was a $75 million day." Armstrong's admissions could carry legal repercussions. The Postal Service, a federal agency, paid $30 million in public money to sponsor Armstrong's team -- and may now seek to get it back. Armstrong denied USADA chief Travis Tygart's assertion in a 60 Minutes Sports interview last week that someone in Armstrong's camp offered the agency a $250,000 donation in what could be seen as an attempt at a pay-off. "That's not true," Armstrong said, noting that it wasn't in USADA's official case against him. But the cheating, the lying, the bullying -- all true, and Armstrong said the "ultimate betrayal" was of the people who believed in him. "I do not know the outcome here," he said when asked about the future. "And I'm getting comfortable with that."